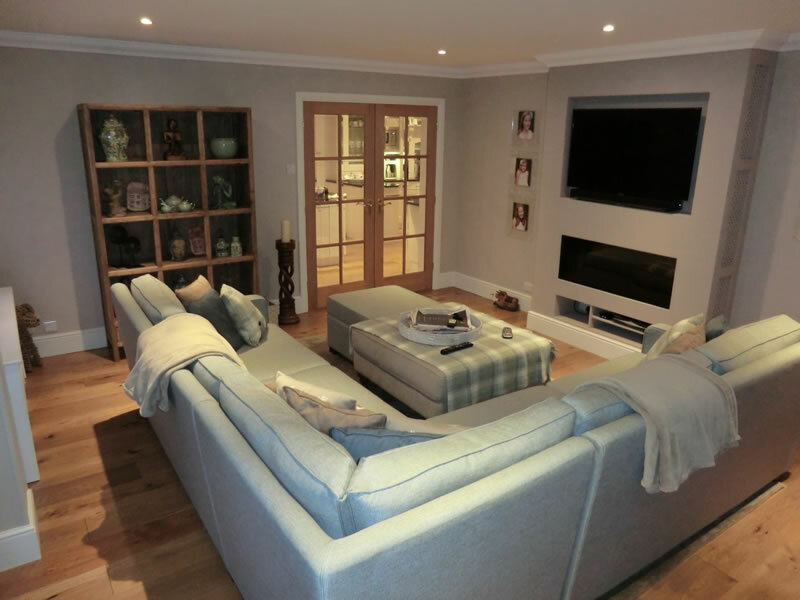 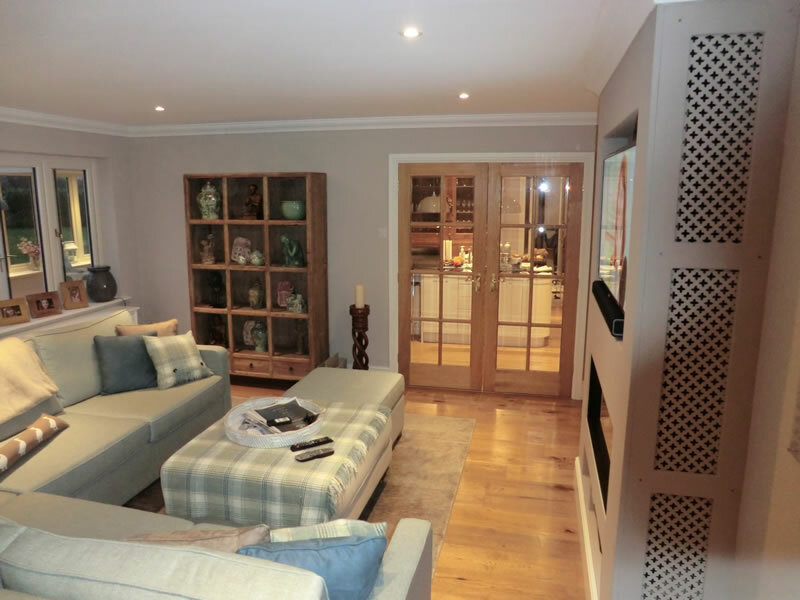 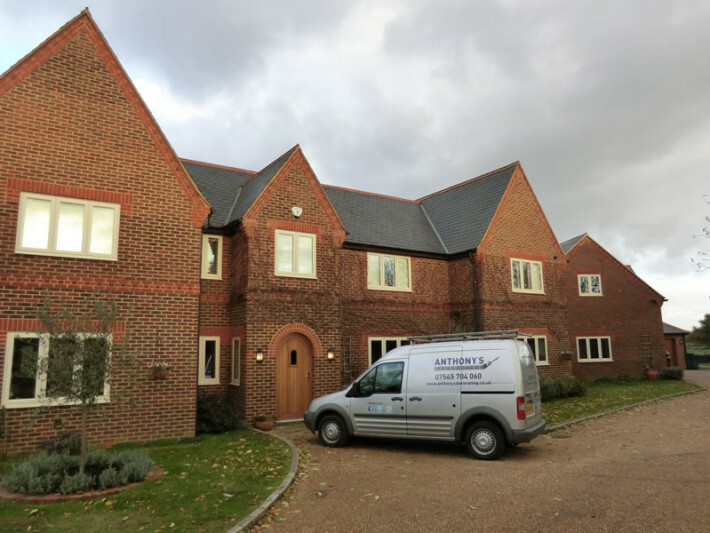 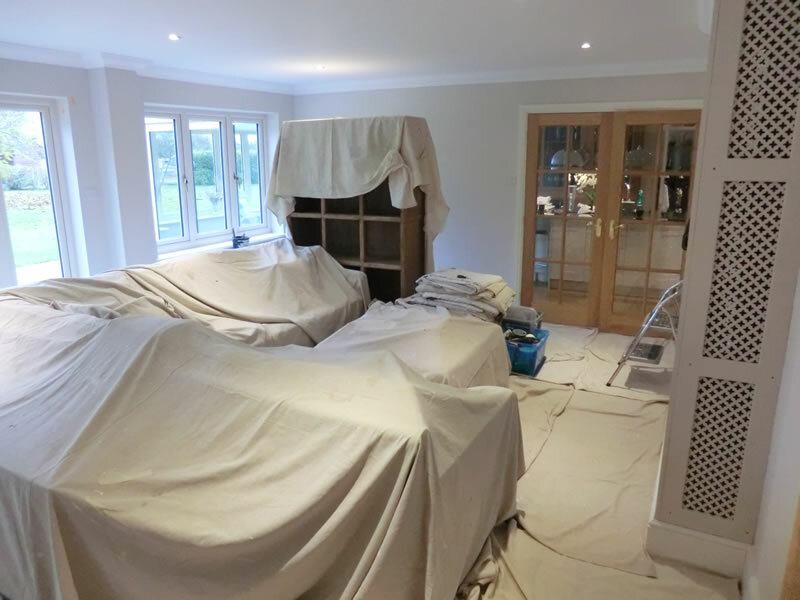 This substantial seven bedroom Farmhouse is one of our most recent projects at Anthony’s Decorating. 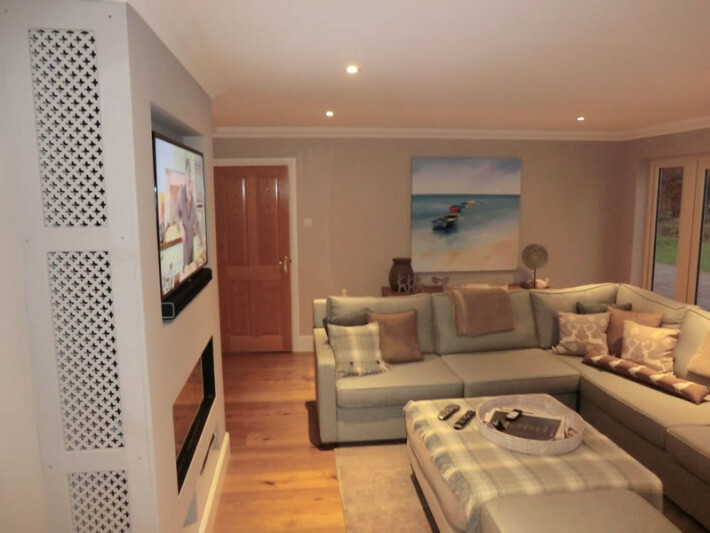 The property had been rented out for several years and the owners having returned from abroad decided to commission us to redecorate throughout. 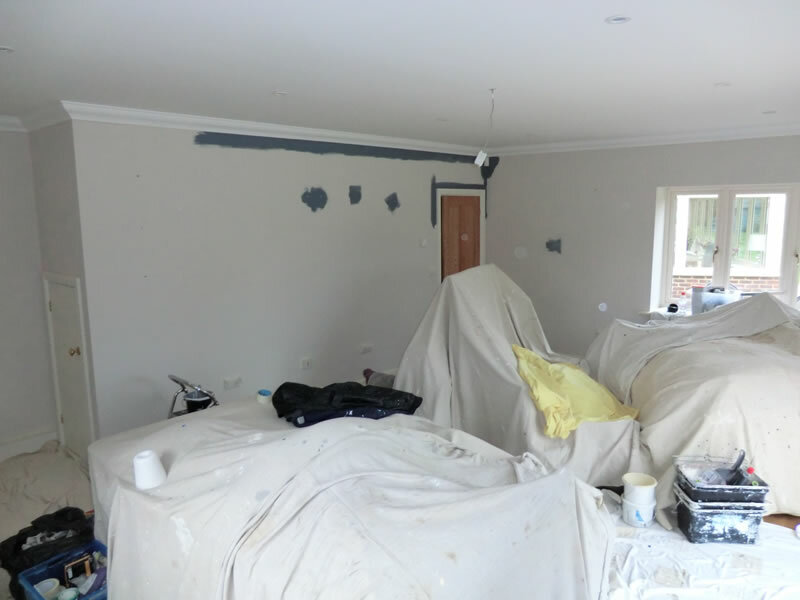 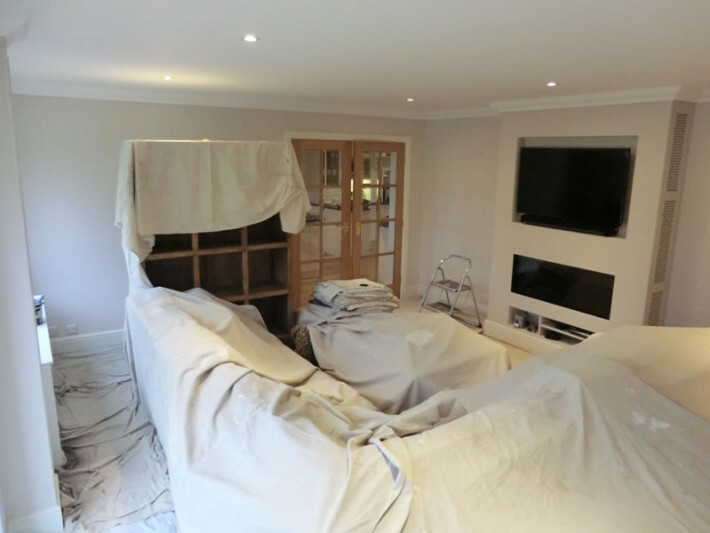 To begin with we have freshened up the lounge with farrow & Ball Elephant’s Breath. 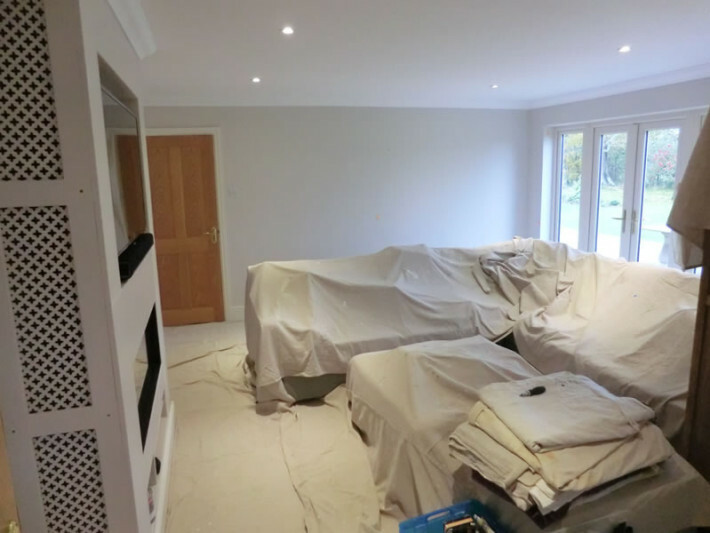 The woodwork is now finished in Dulux Timeless and we have used the fireplace as the feature wall which has been painted in Farrow & Ball Dovetail. 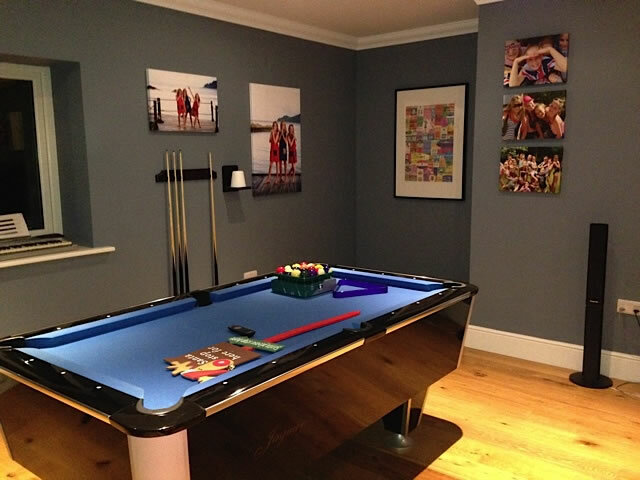 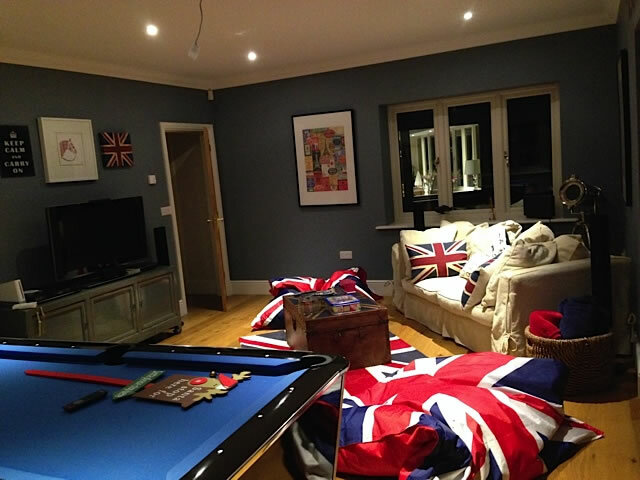 Dulux Symphony Steel (vinyl matt) was chosen for the walls of the playroom. 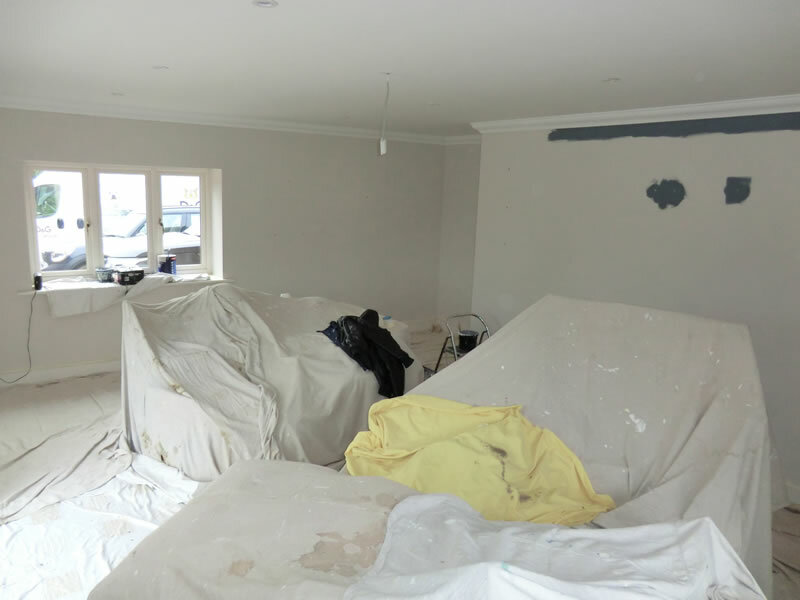 The owners are now looking forward to a comfortable Christmas and we have been invited back to redecorate the rest of the property early in the new year.